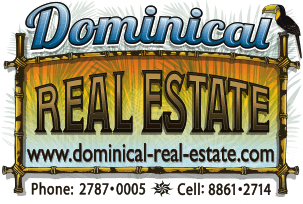 1.26 ACRES - 3 Homes With Rental History Walking Distance To The Beach!!! Only 8 minutes walking distance from the beach and the famous surf break, Pavones oldest cabin rental business offers you both, a peaceful jungle hide-away and closeness to town with its' stores and restaurants. Buildings are situated in a mature orchard featuring a large variety of tropical fruit such as star fruit, mangosteen, mangos, anonas, cacao (chocolate), cashews and of course bananas and coconuts among others. On my visit to the property I actually got to see vanilla in bloom for the first time. It's a beautiful yellow orchid. Three species of monkeys (squirrel, howler and white faced) as well as sloths, coatimundis, tyras and anteaters are regularly seen on the grounds apart from countless birds including scarlet macaws, toucans and wild turkeys - guans or span. pavas after which Pavones was named. Rustic cabin: Tropical hard wood structure with 36 sq/m of upstairs living space (kitchen, bedroom, living room). Downstairs: 18 sq/m of storage, toilet, separate shower, a fully screened bedroom, laundry area. This cabin was built in 1986 and was the first Pavones home with a flush toilet. It has since been renovated with new posts and a new roof and a screened downstairs bedroom has been added. It is still rustic and open for birds to fly through. The cabin is made of rough cut-tropical hard wood called pilón or zapatero. It was milled with an Alaska mill (chainsaw set up) which was the only option back then. Beautiful looking wood when planed and sanded. During the old days, the rustic cabin housed many an illustrious surf adventurer such as Pat Curren and Alan Nelson. One of the best kept secrets: It is now Pavones' most historic building. For many people it was the place where they lived while looking to settle in the area.